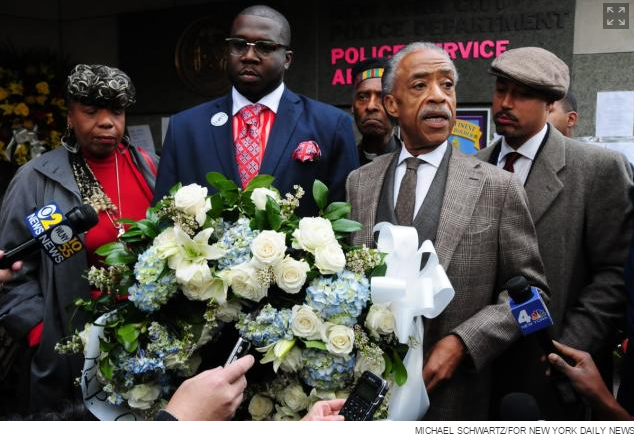 A hero cop gets gunned down in New York and suddenly Al Sharpton arrives on the scene because the cop was black. What a detestable man. When Officer Randolph Holder’s fiancee found out that Sharpton was coming and that he planned on giving the eulogy, she asked, “Why?” That’s valid, considering her husband hated Al Sharpton and so do most of the cops that served with him. Evidently, Holder’s father invited Sharpton to the service. No doubt after prompting from Sharpton himself. But after the fiancee spoke up about how much Holder detested Sharpton, magically Sharpton backed out of the eulogy for the funeral tomorrow. He said that “union leaders” and other critics are using his participation as a “sideshow” that isn’t fair to the grieving family. Right… it had nothing to do with the fact that they can’t stand Sharpton, the race hustler and cop hater. Tomorrow Officer Randolph Holder will be laid to rest. Last week, Holder wasbrutally gunned down by a career criminal while in the line of duty, yet another member of the thin blue line cruelly taken. Normally a fallen officer would be ignored by activists and the media, but because Holder was black, all of a sudden his death is useful to the likes of Al Sharpton. But in this case, his attentions are quite unwelcome. As the New York Post reports, “Slain NYPD Officer Randolph Holder’s fiancée was stunned to hear that the Rev. Al Sharpton was asked to speak at his funeral — because the policeman detested the anti-cop preacher, she told The Post on Monday. “He didn’t like [Sharpton]. He wasn’t a fan. So I don’t know why [Sharpton] is speaking,’’ Mary Muhammad said. Sharpton claims that he met with Holder’s father and that the dad asked him to speak at Wednesday’s service. “[Sharpton] was asked by Officer Holder’s father, and he’s expected to speak,” Sharpton rep John Weinstein said Monday. But law-enforcement sources said Holder’s dad, Randolph Sr., called the NYPD on Monday morning — after news of Sharpton’s supposed invite broke — to tell them he invited the preacher only to attend the funeral, not to address mourners. Holder’s immediate family wasn’t the only group to bristle at Sharpton’s appearance. His extended family of brothers and sisters in uniform also expressed their dismay. “The plan to have Sharpton address mourners at Holder’s funeral outraged the NYPD’s rank-and-file because of the activist minister’s history of leading protest rallies against alleged police racism and brutality. Amen. 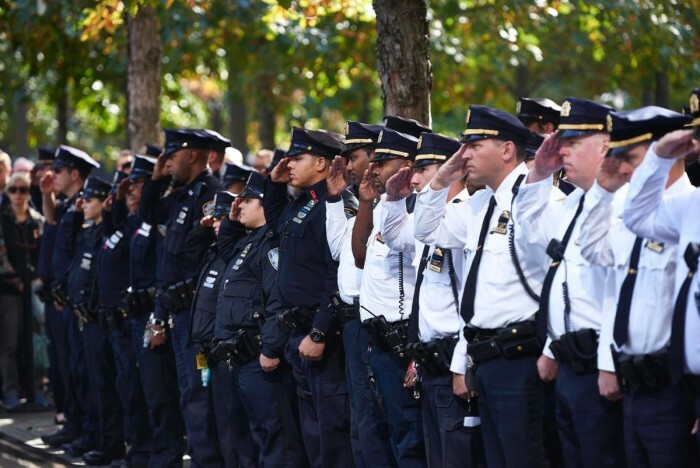 Let the family and fellow cops mourn together. For once Al, this isn’t about you. No one wants Sharpton there. He just has to put himself in the middle of anything that can be used as a racial spotlight. After all Sharpton has done to stir hate against police officers, he’s got a lot of nerve inserting himself in Officer Holder’s funeral. The 33 year-old was shot and killed last Tuesday along a pedestrian overpass above FDR Drive. Sharpton says he “respectfully” declined the invitation to speak, but will donate $5,000 to offset the funeral costs. Tell you what Al… donate the money and stay away. That would be respectful. This is indeed not about you and you are not wanted at that funeral. Let the family and the officers grieve in peace and in private for a fallen brother without your hateful presence besmirching a solemn memorial.